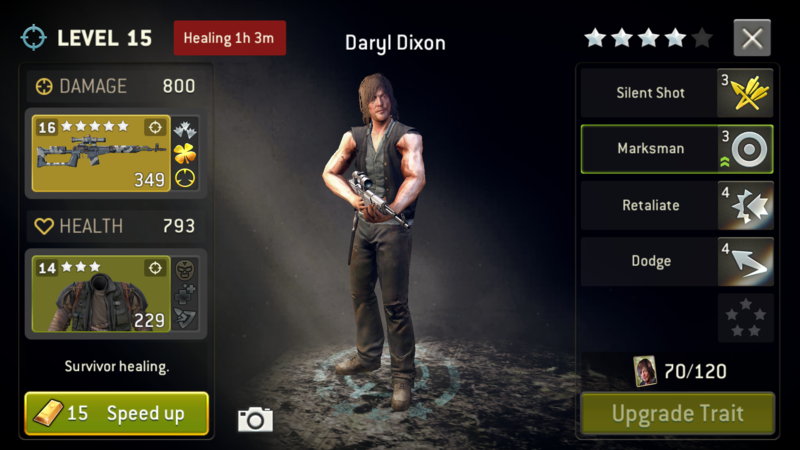 After Levelling up a Hunter, i nticed the damage done was not as much as Daryl... Am i missing something here? 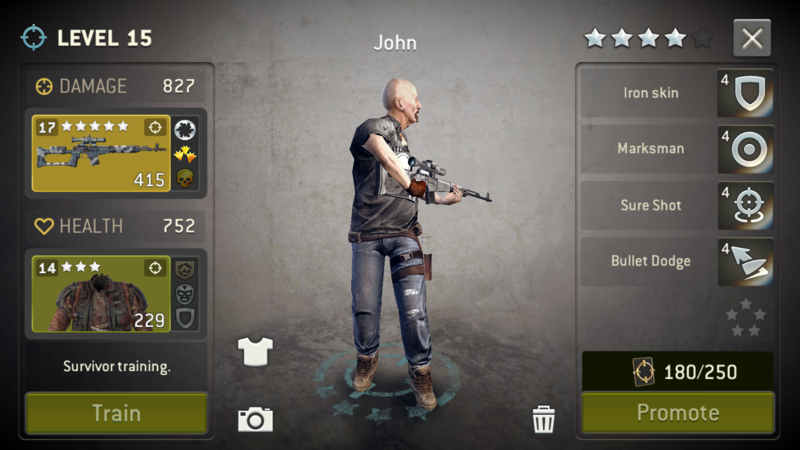 John has Marksman lvl4, vs Daryl's lvl3. So at the same level (15), with the same kit, John should do more damaged am i right? I'd also be keen to know what you guys think of My Hunters\Shooters? I'm on the verge of thinking I'd be good to replace a fair few when i get better via calls.. Especially as Tara is my snd Best shooter when Epuiped ATM.. 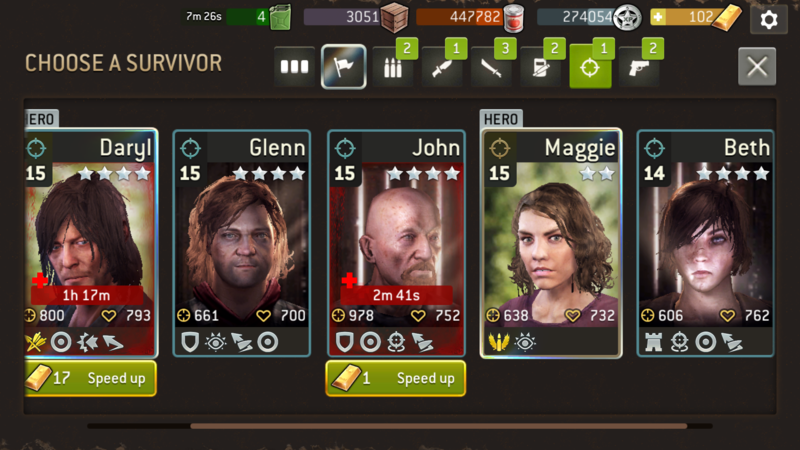 The heroes have a higher base damage than the rest of your survivors. 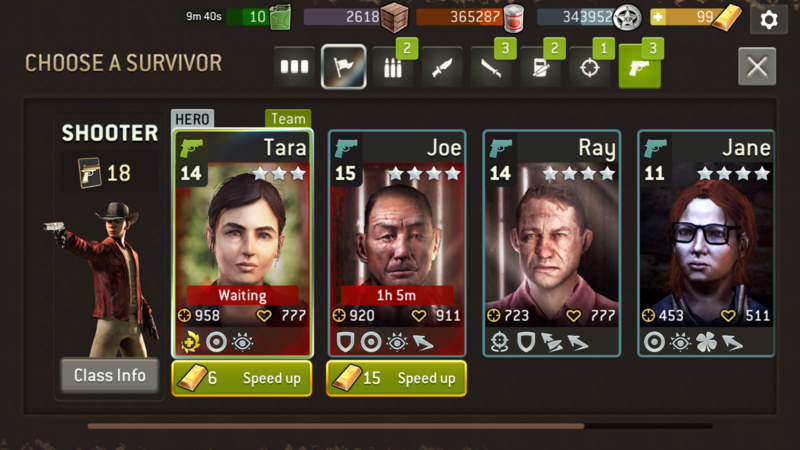 My fave traits for range survivor: Sure Shot - Luck - Iron Skin - Marksman -Dodge. I always keep whenever i got 3-4 of them.